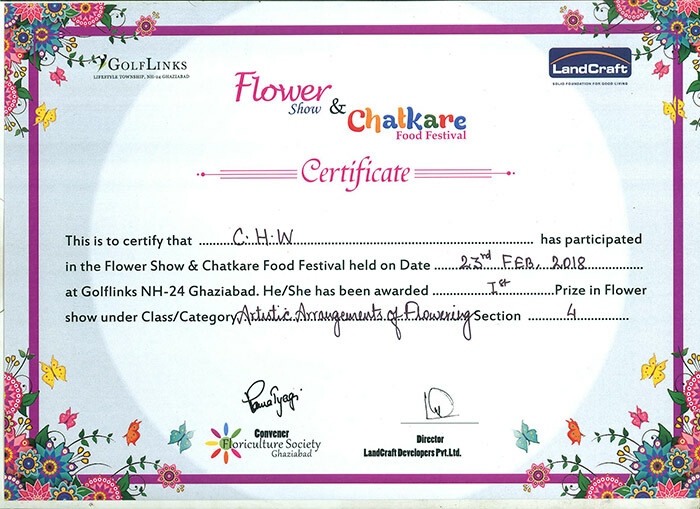 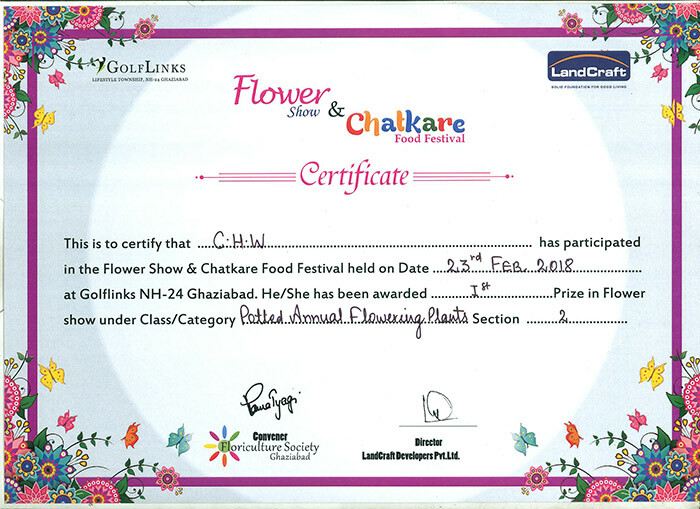 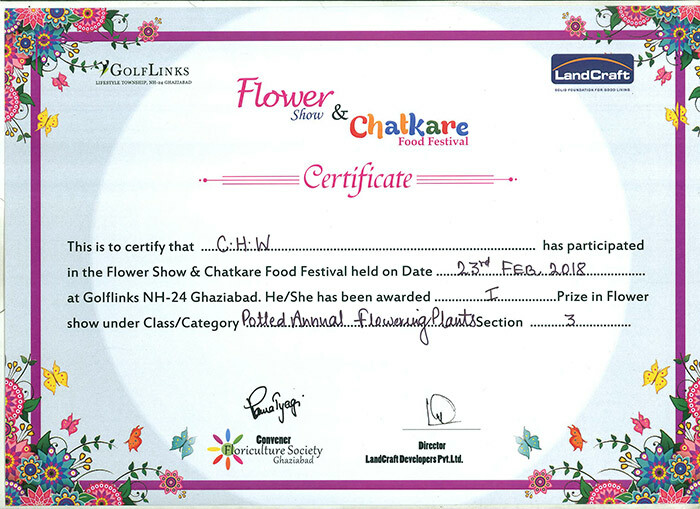 Recently CHW Forge participated in a Flower show organised by Golflinks NH-24 Ghaziabad and stood 1st across different categories. 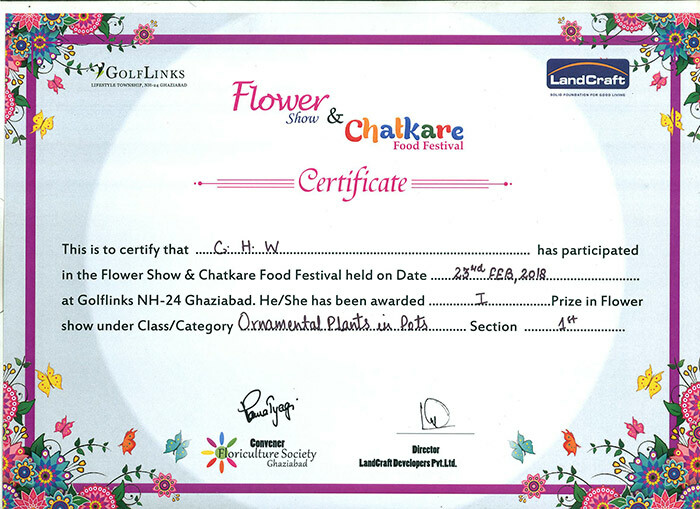 It was held on 23rd of February at Golf Links, Ghaziabad. 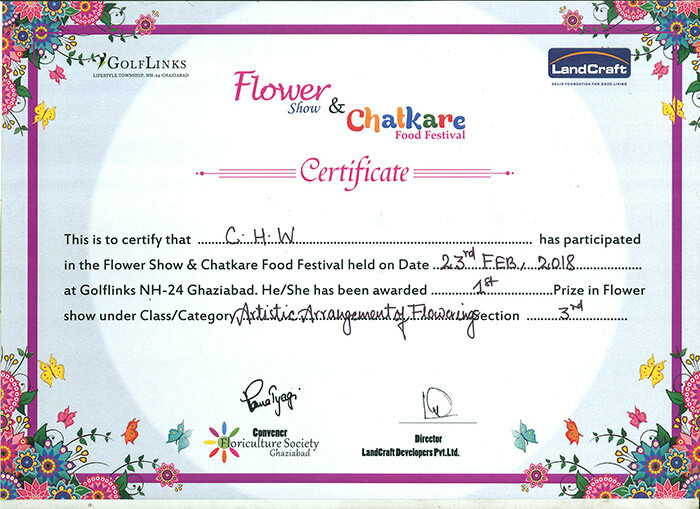 Several hundreds of people visited the show and experienced first-hand impact of beautiful flowers in an inspiring setting and charmed the guest. The show featured show gardens, floral marquees and pavilions and demonstrations.